Trekking through the Clare Valley. Trekking through the Clare Valley . . . . . .
Travelling the Horrocks Highway north will take us through Auburn, Watervale, Sevenhills and on to Clare. 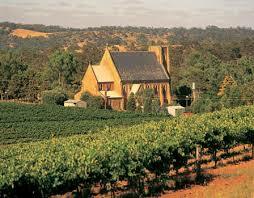 The Clare Valley Wine region has an amazing selection of wineries and cellar doors. Enjoy the cosiness of the Skillagolee, and maybe lunch on the verandah. Even visit the home of O'Leary Walker at Leasingham for a taste. No trip to the Clare Valley should miss a visit to Sevenhill Cellars. Annie's Lane is always a welcome addition to the itinerary. If Polish Hill River rieslings are your thing then Paulett Wines is a must see (even if just for the view).